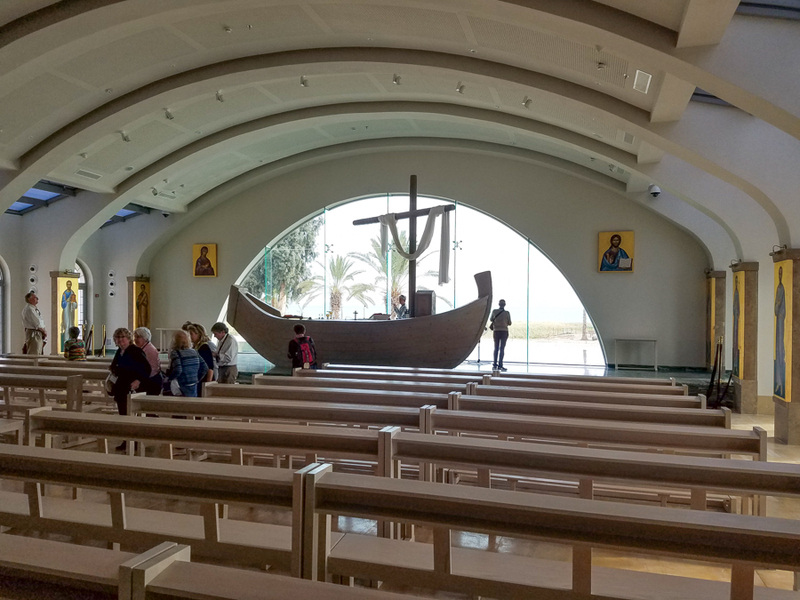 This is the chapel in the town of Magdala where Mary Magdalen lived. Here we celebrated the third Sunday of Easter when Jesus beckons his apostles to have breakfast with him. Unbelievably creative, to place you right into the Gospel. 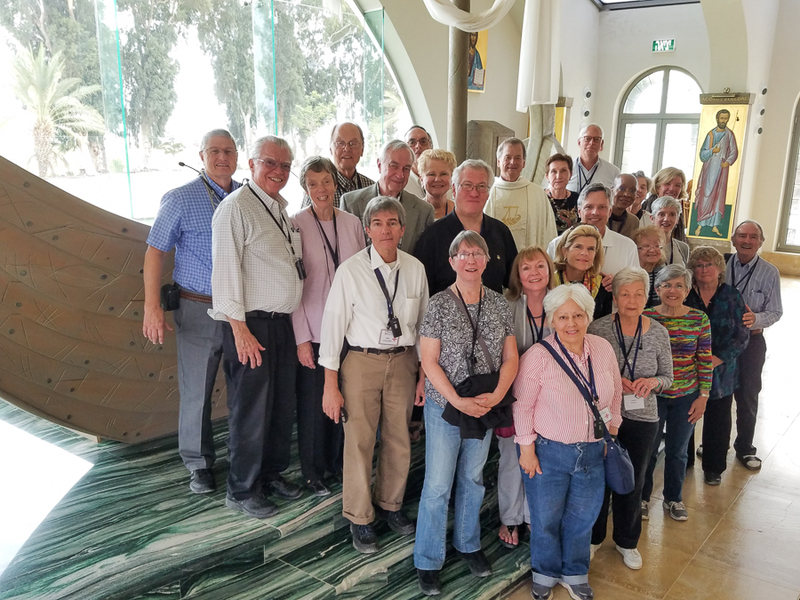 Our pilgrims after Mass. 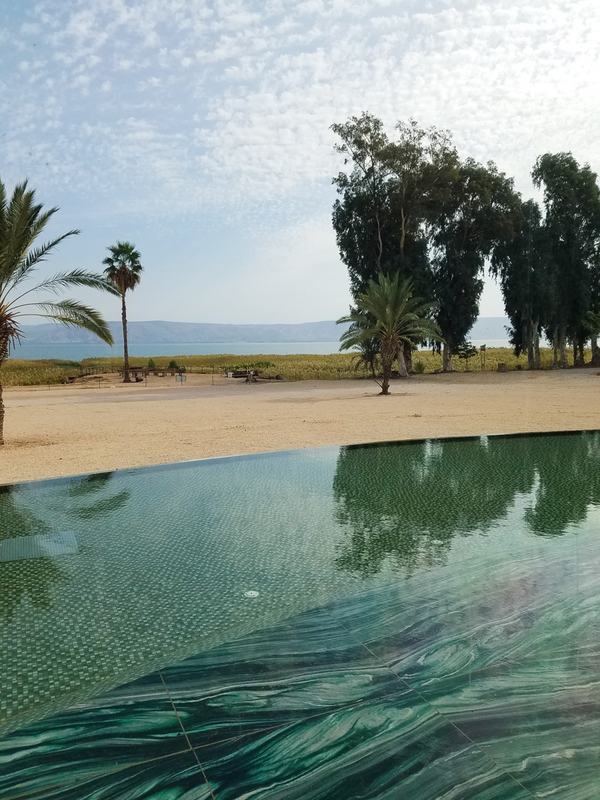 What an experience to offer Mass on the seashore of Galilee. 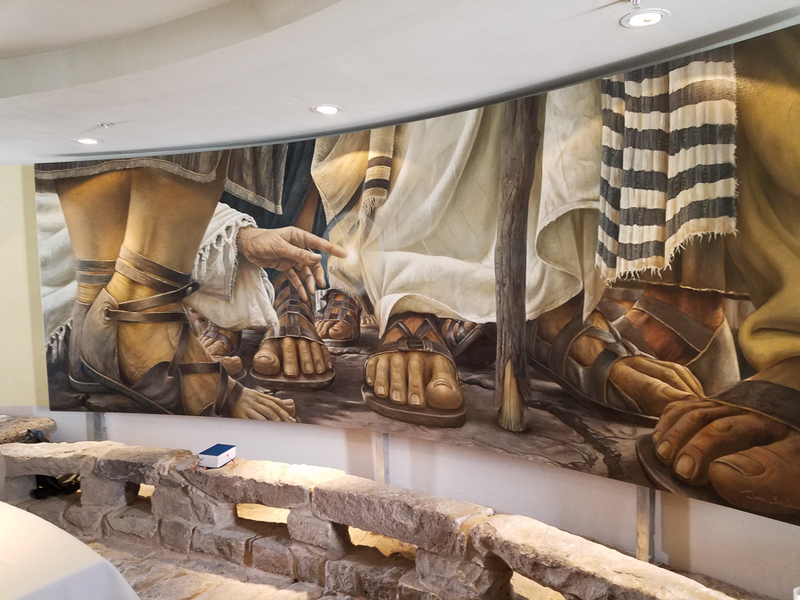 A stunning mural when the woman touches the hem of Jesus’ garment. 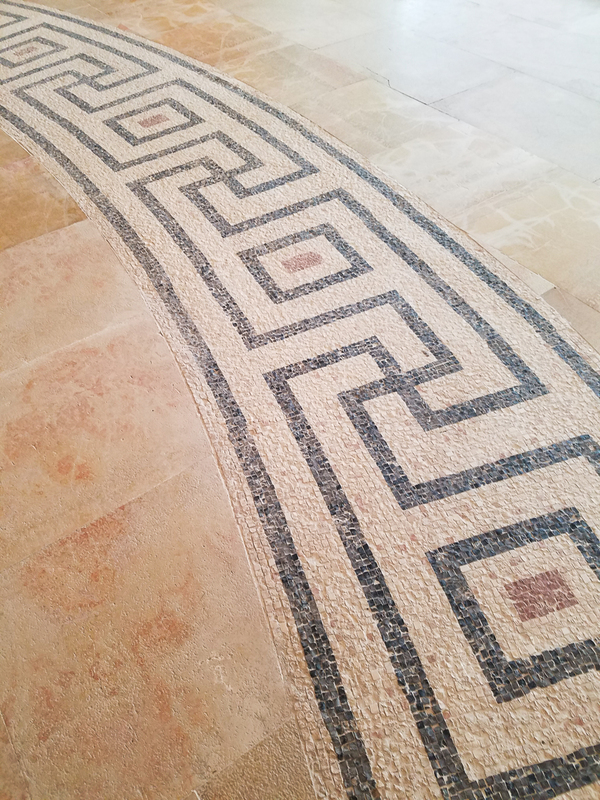 The floor mosaics are beautiful. 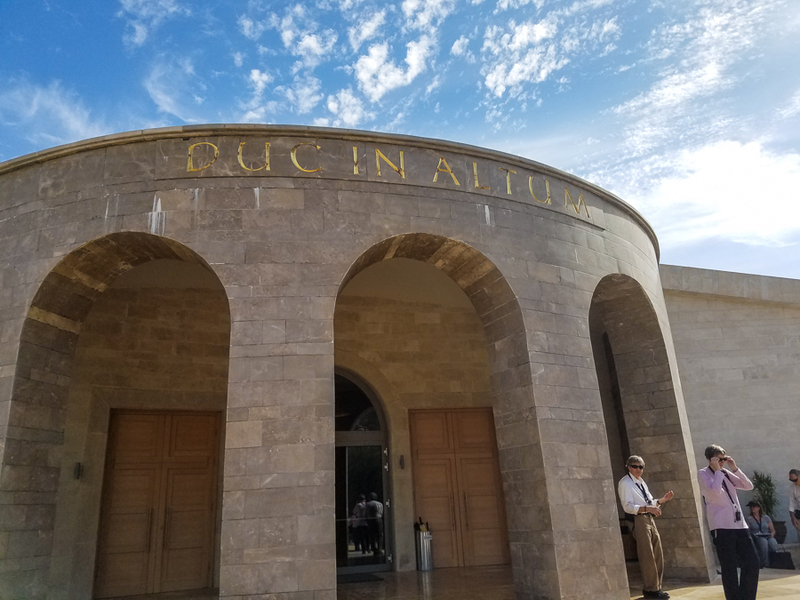 This entry was posted in Christianity, Travel and tagged Duc in Altum, Fishers of Men, Galilee, Holy Land on January 30, 2017 by frjfkauffmann.